Sometimes all your German engineered car needs is a little tender-loving-care. From the hands of the best German automotive specialists, we’ll give you superior mechanical engine repairs. When you choose Avalon Motorsports for all of your engine repair needs, you can rest assured that all of the work completed, will be the best you’ve ever had. It doesn’t matter whether your car is brand new, fairly new or older than you! Our German automotive technicians have specialized training who have the ability to provide you with all of the repairs your engine may need. From minor repairs to major, our team of professionals are standing by, waiting for your call. Regular Wear & Tear Check-Ups Are a Must! 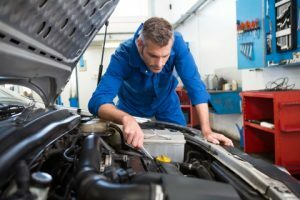 Engine repairs can be anything from regular wear and tear to maintenance and upkeep. We’ll make sure your Audi®, BMW®, Volkswagen®, Porsche®, or Mini® is well lubricated, the belts are in check and all of the screws and valves are tightened. If you aren’t sure your vehicle is in need of a check-up, just give us a call. We can ask you questions to determine if you should schedule an appointment. Additionally, we are more than willing to answer any of your questions or concerns regarding your German engineered car. Keep Your Car In Check! Do you want to learn more about our incredible German auto repair services here at Avalon Motorsports in Denver? Feel free to peruse our full list of services, and schedule an appointment easily, right here online. We welcome all customers, new or old!